Run for your life! Now on earth from the red planet it's a great new reproduction of the Martian Invader from Schylling. He features a nice litho Orange, Grey and White alien body. Wind him and he walks forward on his 6 long legs. He is a high quality reproduction of a famous Japanese tin toy alien of the 1950's with a numbered Certificate of Authenticity. Package: Color Box - "Martian Invader: They have come to destroy!" Our silliest dancer. 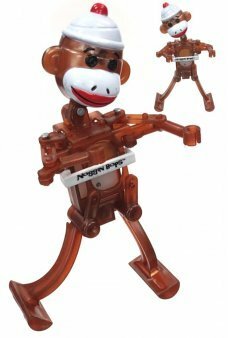 Sophie the Sock Monkey is translucent brown with a white hat and a happy face. 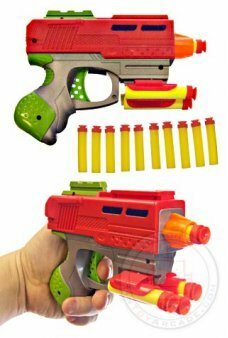 ..
A great deal on a real Foam Dart Space Shooter Gun! Just load a foam suction dart, pull back on the ..
Don't forget your ammunition with our Western 12 Shot Ring Caps Refill. Our Western 12 Shot Ring Cap..
Stack these acrobatic robots in hundreds of ways! 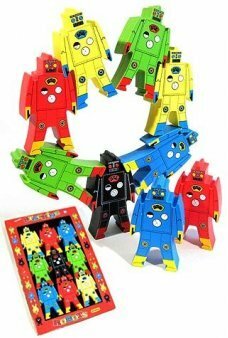 Make your own robot balancing game. 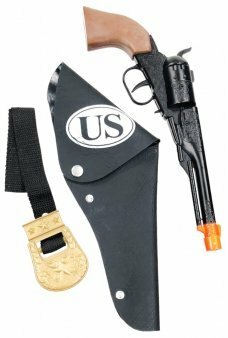 Our Wooden Sta..
Our detailed Civil War gun set features a high quality black metal embossed gun from the US Northern.. 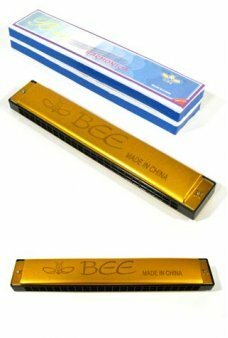 Anyone can play a harmonica. Some even play it very well. The sounds are of the American Civil ..
Grady the Giraffe dashes wildly around in the windup jungle! Our cute Giraffe walks on all four feet..